Everyone must be a proactive networker in today’s environment. It is important to note that the ability to hold conversations with others and collect business cards is not enough. Networking is not connecting. It takes a unique person to successfully connect with the right individuals at a particular meeting or event. Make the transition from a networker to a connector in order to create opportunities for yourself. 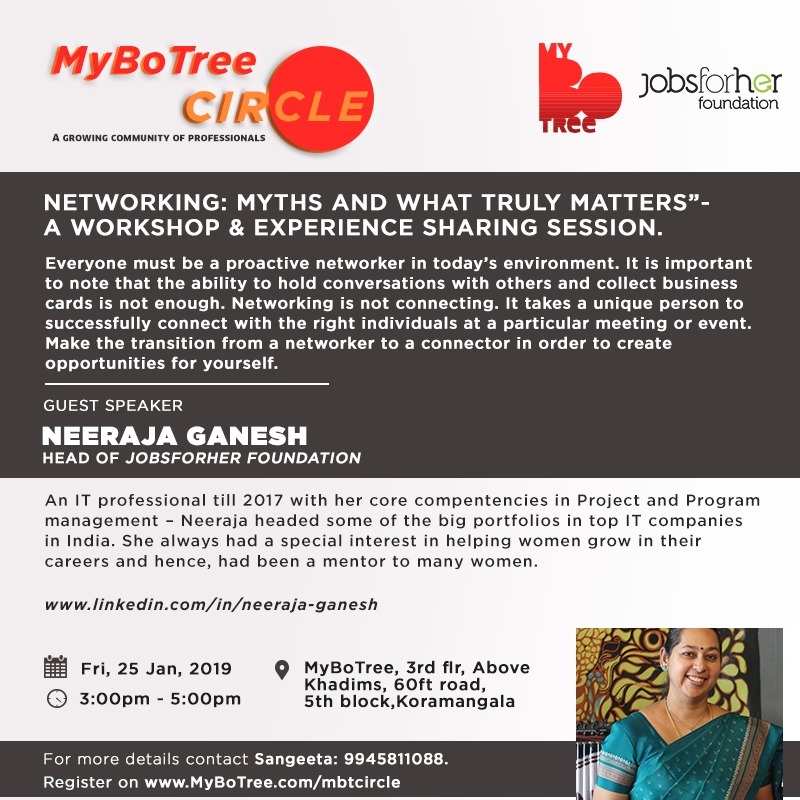 Join in for a workshop conducted by Neeraja Ganesh, Head - JobsForHer foundation on "Networking for results" followed by an experience sharing session amongst all participants.